The Genesis Datum 10 2018 is a hybrid bike that will seamlessly take you from tarmac to road and beyond. This large-tyred road disc bike puts less emphasis on speed in order to bring riders more fun, adventure and exploration. With pneumatically-suspended comfort, you'll be happy to stay in the saddle mile-after-mile. 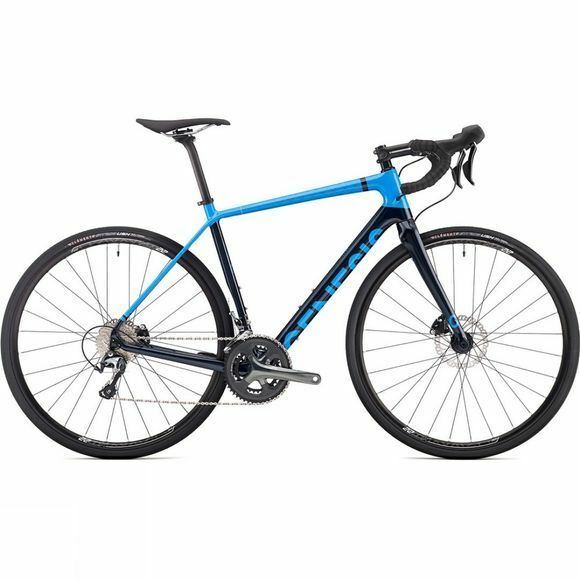 A carbon frame with Shimano Tiagra groupset and hydraulic RS405 disc brakes creates a reliable bike at an affordable price range. To sum it all up, this bike is all about enjoying yourself, across a variety of terrain, both paved and unpaved, be it fast or leisurely.